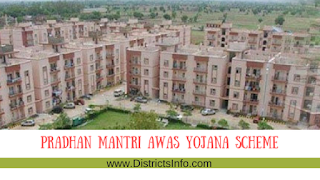 Pradhan Mantri Awas yojana Scheme in India: This scheme is beneficial for the poor people who don't have the houses.Our Hon'ble Prime Minister Shri Narendra Modi has launched this scheme in 25th June 2015.His main vision is he wants that when the nation celebrates 75 years of Independence i.e. in 2022, people has a reason to celebrate. 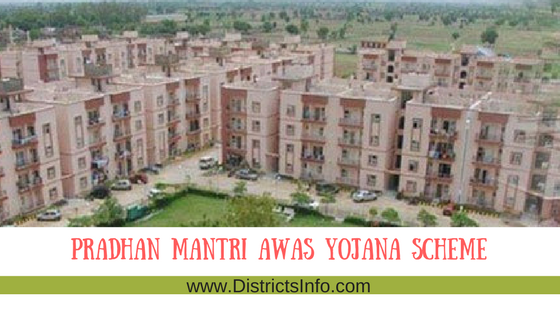 He wants to deliver Pucca houses to financially weaker sections.Pradhan Mantri Awas Yojana is a huge Scheme in India.It helpful for poor people who don't shelter.Under this scheme, Pucca house and Toilet facility and 24/7 electricity will be available. After charge Narendra Modi as a Prime Minister.He did many helpful schemes for poor people among all this was the best scheme for the poor people.Because some of the poor people don't have the proper house.They staying on the road side for them this scheme is beneficial to them. 4. Subsidy for Beneficiary-led individual house construction/enhancement. 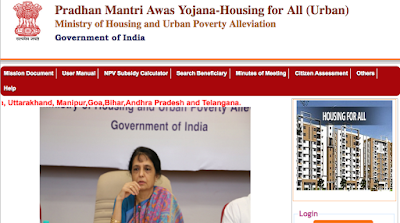 Pradhan Mantri Awas yojana applied through the official website(pmaymis.gov.in).Here we guide you how to apply pradhan Mantri Awas yojana scheme.Very simple steps to apply for this scheme.While filling the application form very carefully you need to fill the form without any spelling mistakes. 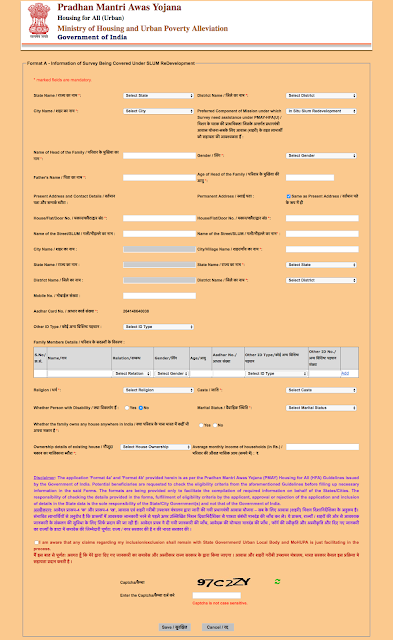 This scheme for eligible people only.We shared here some screenshots for how to apply pradhan Mantri yojana scheme. 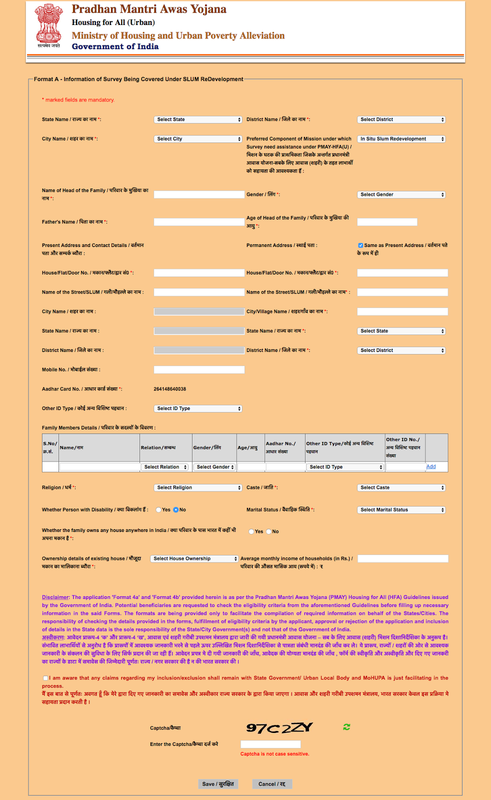 Here are we providing required details for the pradhan Mantri Awas yojana application form.Read carefully while filling the application form. 2)You need Adhaar Card is mandatory for Filling Online application Pradhan Mantri Yojana. 3)You have an account in any bank in the saving account. 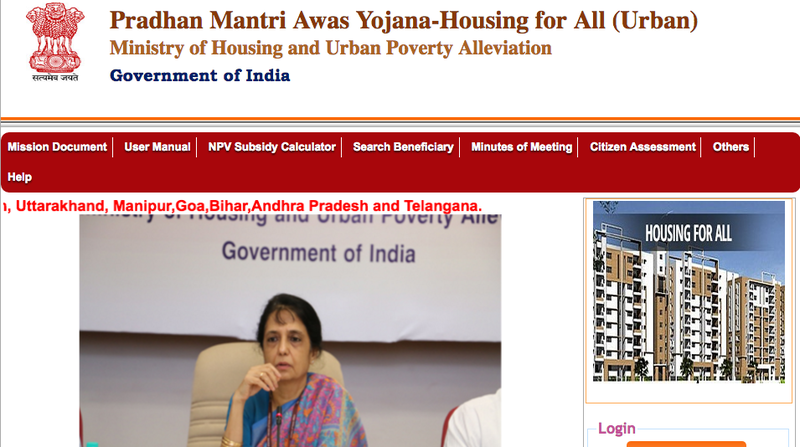 Step1) Visit the Official Website of Pradhan mantri Awas Yojana(pmaymis.gov.in). Step 3)You have to select from first two options.If you are from slum you can click on "For Slum dwellers" or otherwise click on "benefits under other 3 components"
Once you click on appropriate link.you can see this page.Then enter details of your adhaar card in the box and click on check button. Read carefully and fill the details in boxes.after filling the application form.Just enter the captche word and submit the form.form will be submitted in online. Note: If any Correction of Data Kindly Send Email to Us :( Districtsinfo.com@gmail.com ) We will update on our Website.